The second edition of this extensively revised text provides a critical evaluation of current developments in human resource management (HRM) through a fresh user-friendly and international approach. It balances a comprehensive overview of HRM theory--the latest ideas, theories, and research findings--with a close examination of developing HRM practices illustrated by numerous case studies. 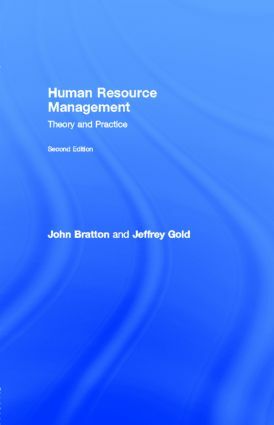 Human Resource Management: Theory and Practice, Second Edition, was written specifically to fulfill the need of introductory undergraduate and graduate courses for a rigorous analysis of HRM. For some time there has been a tendency of textbooks on personnel/human resource management to be much more prescriptive than analytical. This edition's purpose is to provide the reader with a comprehensive knowledge and understanding of the latest relevant theories, practices, and functional activities of HRM on a global basis. This book is divided into five major parts: Part I introduces the nature and role of HRM and addresses some of the controversial theoretical issues surrounding the HRM discourse; Part II reviews the external contexts that affect HRM policies and actions inside the organization; Parts III and IV examine the key human resource practices that comprise the HRM cycle; and Part V addresses some of the developments in communications and employee relations. "A highly comprehensive yet accessible text which successfully presents a critical evaluation of current developments in the subject. This second edition includes an excellent fresh chapter on strategic HRM." "In a globalising world, Bratton and Gold's new edition narrows the gap between teachers of HRM and the 'Holy Grail' of HRM in a truly international contemporary textbook suitable for both graduate and undergraduate students." "This book provides the most comprehensive textbook in HRM I have seen so far…it should be a 'must' for every course in HRM in the UK and continental Europe and overseas." "Clearly written, accessible, interesting, and well-referenced with up-to-date sources…"
"In a word, one of my very favourite texts for the opening of the next millennium." Contents: Preface. Part I: The Nature of Human Resource Management. Human Resource Management Phenomenon. Strategic Human Resource Management. Part II: The Context of Human Resource Management. Global Capitalism and Competitive Advantage. Restructuring Work: Fordism and Re-Engineering. Employee Health and Safety. Part III: Planning and Selection. Human Resource Planning. Recruitment and Selection. Part IV: Rewards and Development. Performance Appraisal. Reward Management. Human Resource Development. Part V: Employee and Industrial Relations. Communications and Employee Involvement. Human Resource Management and Industrial Relations. Back to the Future. Appendix: The European Union Social Charter.